Zahlé is the largest predominantly Christian town in Lebanon and the Middle East (with Christians being around 90% of its total population). Due to its close geographic and cultural relation to Syria, since the war began in 2011, thousands of refugees have arrived in Zahlé. The Church in Lebanon, though poor herself, is helping them and they need our support. 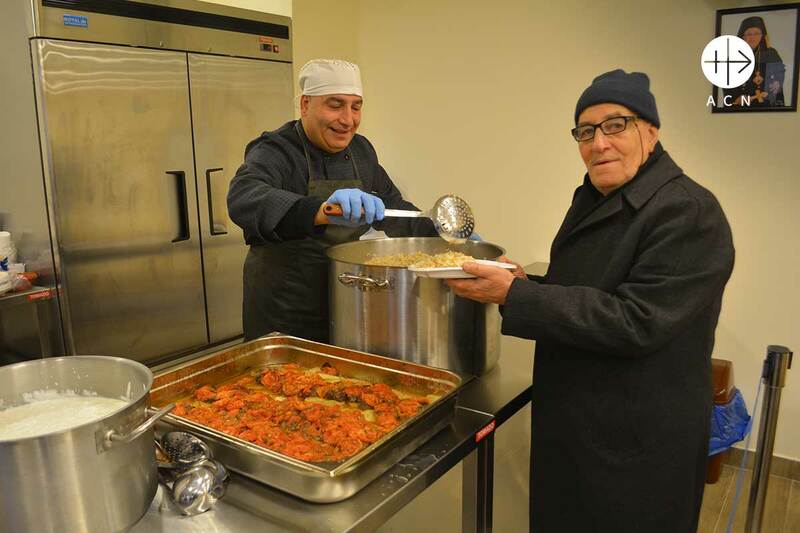 The Melkite Greek Catholic opened a food kitchen to provide one warm meal a day people in need – children, poor and deprived families, refugees – all those wounded in body and spirit. Since December 2015 the Table of Saint John the Merciful has been a place of refuge for all those who cannot afford a hot meal each day. Many refugees from Syria, and also needy Lebanese, street children and children who are not fed properly at home come to the centre. 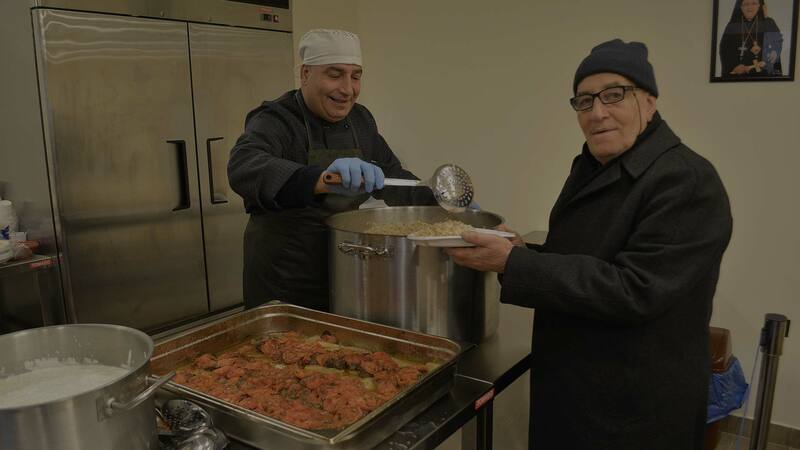 Every day around 600 people are given a free hot meal. But the centre also cares for some 150 elderly frail or handicapped people who cannot get out of their homes. Helpers from the centre bring them the meals at home – and in doing so they not only feed their bodies but also provide solace for their souls, since these often lonely and isolated people can experience their loving care and smiling faces. 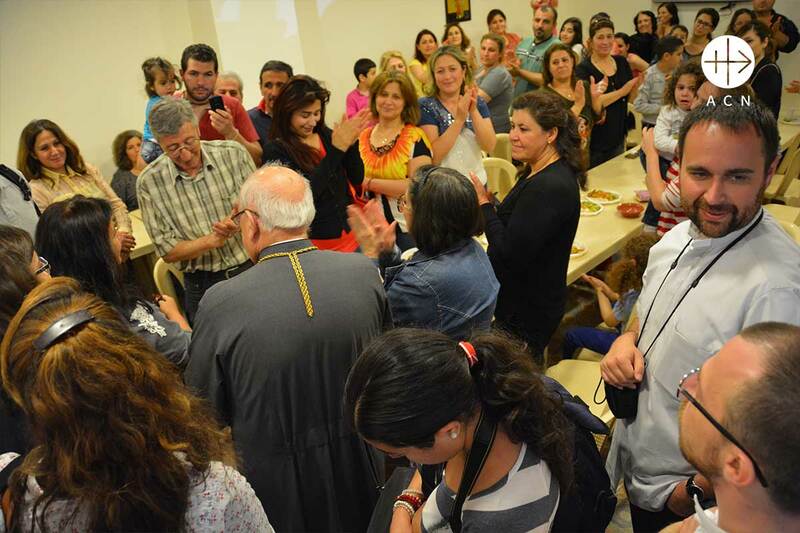 ‘Saint John the Merciful table’ is a place of reunion for the Christians in the region, and it helps the Syrian refugees integrate in the Lebanese society. 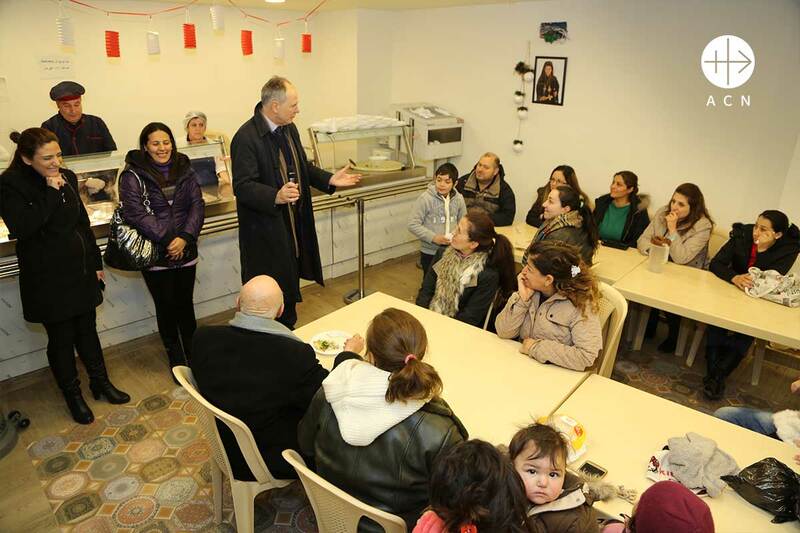 Archbishop Issam has asked us for help for this project: every day 750 people will receive one salad or soup, one hot meal, one desert and water. 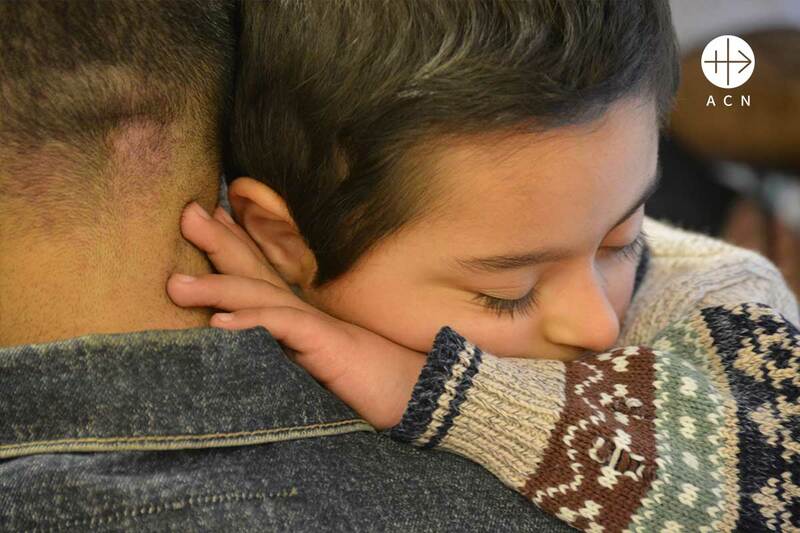 The Church in Lebanon is following Jesus’ example and helping those in need. Among the beneficiaries of this project are children whose parents and families were killed in Syria – the children who have barely escaped death by fleeing to neighbouring Zahlé. It includes those with no one left to turn to – no family to go to anywhere in the world. It includes the Lebanese impoverished families in Zahlé itself, who have lost their very livelihoods because of the war. It includes those who have lost their father, those who cannot find work, who lack the basic necessities and suffer hunger. ‘Saint John the Merciful Table’ is a place of refuge and support to everyone who cannot afford a warm meal a day. A priest and a few volunteers from the parish also help to take care of their spiritual needs. 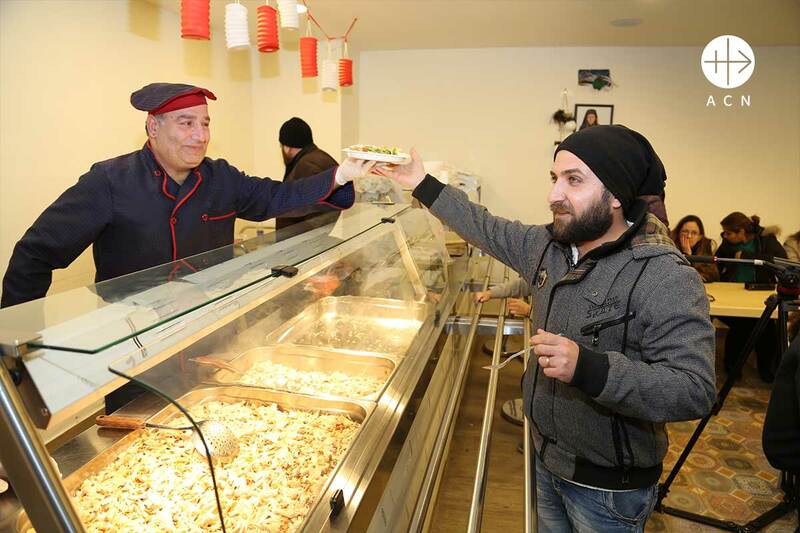 Zahlé has become a place of mercy and love, alongside the abyss of hatred and violence in nearby Syria. Archbishop Issam thanks ACN benefactors for their mercy and places his trust in Our Blessed Lady: “She has always been with us to help in Zahlé”.